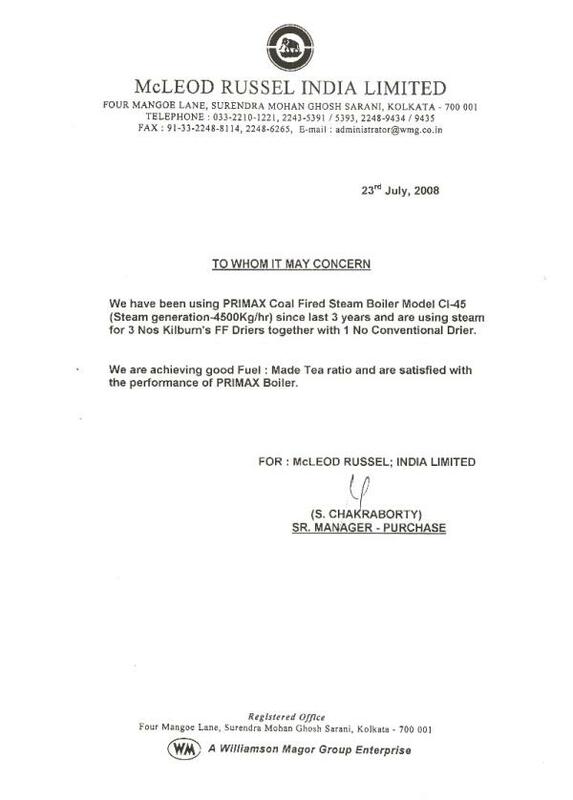 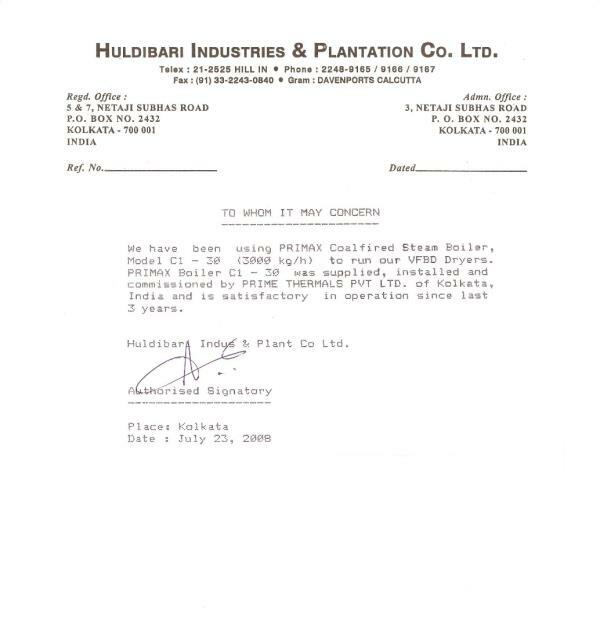 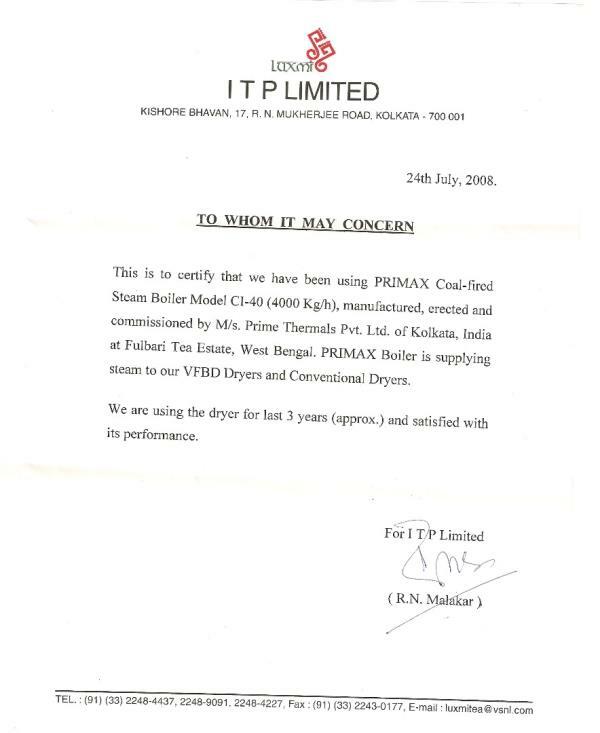 Prime Thermals Pvt Limited, a sister organisation of Prime Group of Companies, is a closely held organisation and formed about 20 years back with a view to develop, manufacture Steam Boilers & Thermic Fluid Heaters for Process Industries. 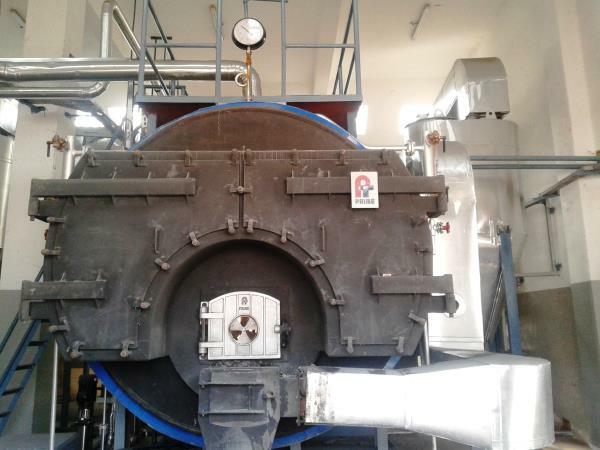 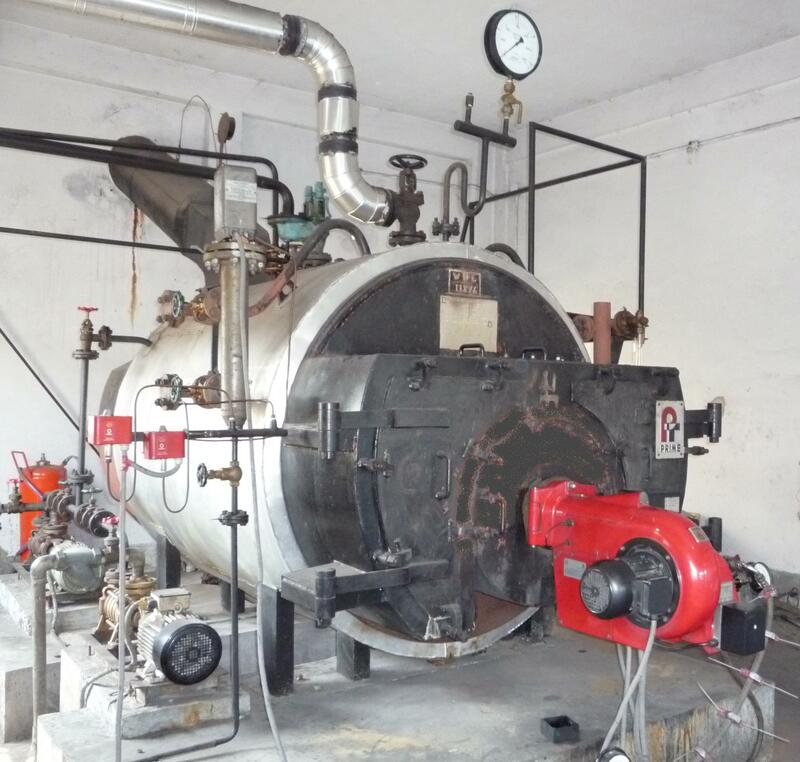 The company has effected many improvement in the technology of Boiler/Thermic Fluid Heater design and have been offering complete turnkey solutions to clients for system design and plant dynamics. 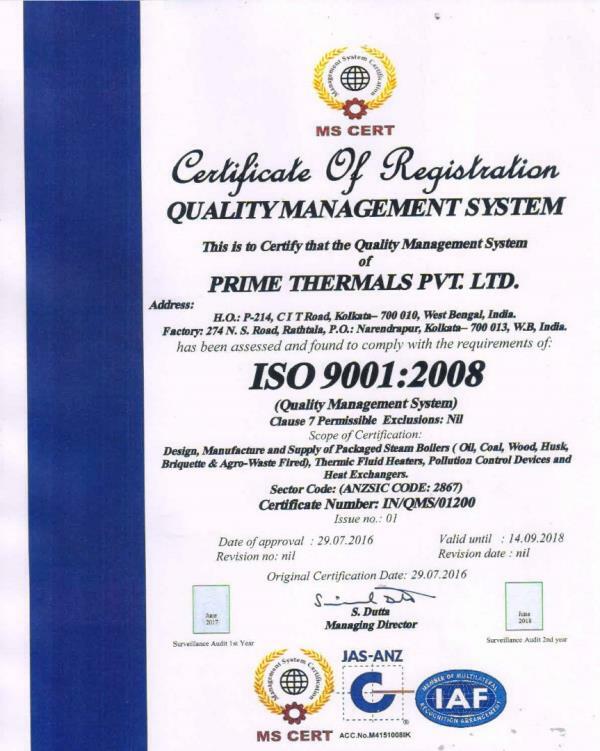 So far PRIME has manufactured about 800 such units upto a generation capacity of 15 TPH on various mode of firing like Coal, Wood, Agrowaste, Briquette, Rice Husk, Oil and Natural Gas and exported to countries like Bangladesh, SriLanka, Mozambique, Tanzania etc .